So I really really want one of these Split King Mattress Sets. Today ONLY - HSN is offering Sleep Number i10 Legacy Adjustable Split King Mattress Sets for $34.99 - $5699. 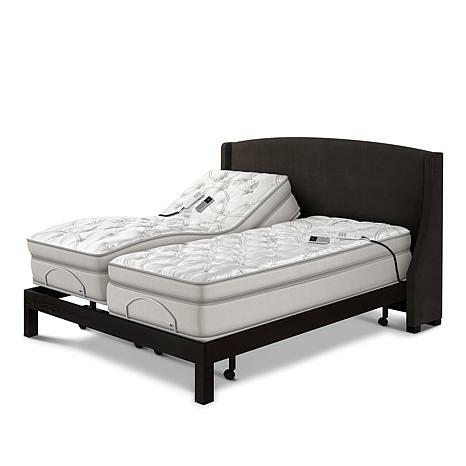 Sleep Number i10 Legacy Mattress Set You and your partner will sleep happy thanks to the individualized comfort of the Sleep Number i10 Legacy mattress set. When it's time for bed, Sleep Number's got your number. •Item is delivered to your doorstep in several boxes. Boxes could arrive separately. •Carrying and assembly requires 2 people; assembly takes 2 people approx. 1 hour to set up the bed. •The use of a surge protector (sold separately) to protect your system is highly recommended. The warranty does not cover damage due to a power surge.